LandScape is an online GIS solution that provides tools and features to help you manage project efficiency and organization by hyperlinking files to map features, online data viewing ability and more. MapDotNet UX is a software for building state of the art solutions employing geospatial visualization, analysis and integration. Private companies and public municipalities across the globe use MapDotNet in their products and software services. Map Maker Pro is if for people that need to make maps. It is not an atlas or simply a map viewing program. It is for people that need to add information to maps or create new maps. MuniLogic offers a modular approach to its system design. This modular design provides a clear understanding of the functionality MuniLogic has to offer while providing you the ability to purchase only those modules that are necessary. Navigator for ArcGIS is a mobile app that gets your field workforce where it needs to be, unlocking efficiency and improving reliability. XMap uses data collection and deployment for administrators and mobile field workers across all industries. Apache Spatial Information System (SIS) is a free software, Java language library for developing geospatial applications. ArcGIS Pipeline Referencing provides the GIS-based capabilities you need to effectively and efficiently perform pipeline linear referencing data management. ArcGIS Schematics allows its users to model, design, and view any kind of network, from social and economic networks to electric power, traffic light, rail, and more. Blue Spatial GIS Server is an ESRI Geoservices REST Implementation. CloudSpatial is a drop in replacement for ArcGIS Server that works with all ESRI API's and ArcGIS Desktop. Easy Trace Pro is a powerful tool for map creation, from scanned image or imagery up to GIS-ready data. Efficient image preprocessing, automatic, semiautomatic and manual tools for line tracing, creation of points and polygons, symbol and text recognition, topology check up and correction, convinient tools for attributing, map navigation and inspection - these are just some features of Easy Trace. The latest version has built-in technology examples and a powerful technology-building tool. Esri Redistricting is a Web-based solution for state and local governments, legislators, and advocacy groups to create political and geographic redistricting plans. ESTAT (Geovisualization toolkit) is an open-source software designed to support exploratory geographic visualization. FalconView is a multi-platform mapping and mission planning application developed by the Georgia Tech Research Institute for the United States Department of Defense. With GeoExpress you can manipulate and encode your geospatial imagery to the industry standard MrSID and ISO standard JPEG 2000 compression formats. Geosoft Viewer simplifies team exploration by providing access to data and a set of mapping and analysis tools, within a dynamic 3D environment. MyGov is a simple, web-based, work from anywhere, work with Community's Development software suite. GPS Visualizer is an online utility that creates maps and profiles from geographic data. It is free and easy to use, yet powerful and extremely customizable. Input can be in the form of GPS data (tracks and waypoints), driving routes, street addresses, or simple coordinates. Use it to see where you've been, plan where you're going, or quickly visualize geographic data (scientific observations, events, business locations, customers, real estate, geotagged photos, etc.). HERE provides APIs and solutions to build location-aware web and mobile apps. With iMapBuilder you can create interactive HTML5 maps or images, and custom Google Maps without coding. Kingdom is a seismic and geological interpretation software designed to help geoscientists, drillers and engineers to collaborate with each other. 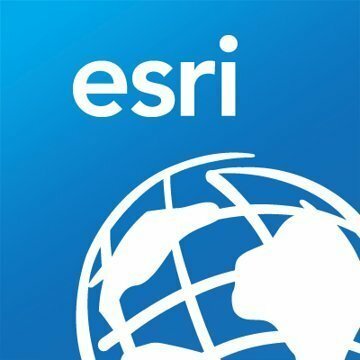 Living Atlas of the World is the foremost collection of global geographic information from Esri and its partners, including maps, apps, and data layers used to support critical decision making. MapMerger is an automated conflation tool used for map production, update and quality control. MAPRIGHT MAKES IT UNBELIEVABLY EASY TO PRODUCE INDUSTRY-SPECIFIC, PROFESSIONAL-QUALITY MAPS. MAPublisher cartography software is designed to integrate more than fifty GIS mapping tools into Adobe Illustrator to help users create beautiful maps. OpenJUMP is an open source Geographic Information System (GIS) written in the Java programming language. Pinmaps.net is an online map creator that offers an easy way to save map points that are customizable and help user to quickly visualize customer list, next trip or favorite locations. Geographic Information System allows the display of database information on a visual map with the capabilities to assemble, store, manipulate and display geographically referenced information. StreetMap Premium for ArcGIS is ready for quick deployment, eliminating the need for data conversion, editing, maintenance, and administration. The TatukGIS Editor is a professional, general-purpose desktop GIS mapping and data editing application with built-in scripting environment for customization and feature extensions. With TractBuilder Tools for ArcGIS you will be able to use Metes & Bounds, Quartering/Auto Quartering, Well Spotting, and GridMaker without delays. uDig is an open source (EPL and BSD) desktop application framework, built with Eclipse Rich Client (RCP) technology. Ushahidi is a map-making tool, built with an open API, that allows you and the world to collaboratively map your world. VisionPlus is a simple and intelligent land surveying software from field to finish work for your land survey projects. VisionPlus integrates into BricsCAD, AutoCAD, Microstation, PowerDraft, and helps to automatically draw all the information from plots, segments, annotation distances, directions, as well as areas representing sinuous rivers. Whitebox GAT is intended to provide a platform for advanced geospatial data analysis with applications in both environmental research and the geomatics industry more broadly. We are global leaders in managing #geospatial data. We work with our customers to deliver real value by making data current, automated, complete and consistent. 3-GIS| Mobile puts your network data directly in the hands of work crews, allowing you to improve the efficiencies of your critical rideouts. By enabling mobility, eld engineers have a solution that allows them to work o ine and synchronize their updates upon connection giving you the information to keep your system records accurate. With its configurable interface to support the job- at-hand, field crews get access to tools and information they need for to perform their work with minimal clicks. Prospector, looks across specific network variables defined by the engineers such as; existing infrastructure, regulations, geographic barriers, and construction costs then uses a routing engine to prescribe a route and placement of network features. Putting Prospector into the planning workflow lets the business focus on high level engineering while adding computational speed to planning networks. Better routes and more accurate cost estimates helps companies plan faster, respond to bids more quickly, and reduces engineering risks. 3-GIS | Web is the world’s leading web-based GIS ber network management software. Our network management system combines full-editing GIS, single click constructible work packets, strand-level asset status, and browser access in one seamless system to deliver value at every stage in the life-of-network. With 3-GIS | Web, understand not only where network assets are located, but also understand the way those assets work together and interact with one another to bring service to the end customer. 5Maps is a powerful mapping tool that generates business insights quickly and efficiently using Google Maps technology. AfriGIS offers mappingand analytics software platform that provideslocation information and insights. Agile GIS is a GIS software that promotes self-service and guides Non-expert users through geospatial datasets. AnySite is the essential decision-support solution for analysts and executives looking to uncover the relationship between trade-area demographics and site potential.